Automotive industry covers a wide range of companies that involved in the design, manufacture,selling of automotive parts. It is estimated that there are over 20,000 parts in a car. All these components are made in different processes, like casting, forging, welding, stamping, machining, ect. So it is a large project to make a whole car. Drop forging method is being used in the production of many spare parts for a large number of industries. Here the role of our company is to customize some main forged components for automotive industry. It takes us about 30% share to manufacture auto parts. There are two different methods to heat the materials before forging. One is to heat the material in the furnace up to a certain temperature that material could be drop forged easily. The other way is to heat with induction, which is a preferred solution for its energy and time-saving. 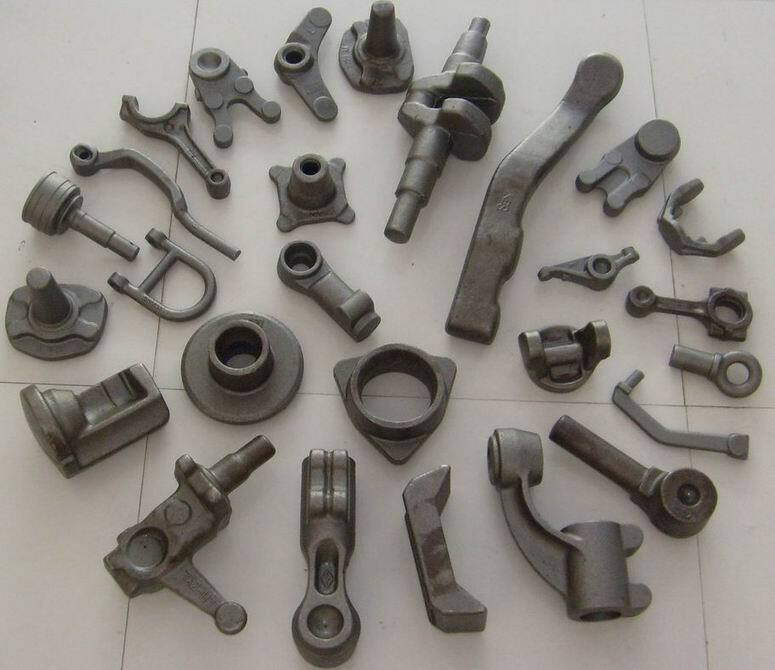 TS16949 certified, Fly produces forged solutions of automotive parts like control arm, rocker arm, tie rod ends, steering yokes, idler arms, connecting rods, and other automotive forging parts. All these parts are customized according to the drawings or samples. Our expertise in this field has enabled us to manufacture, supply and export supreme grade automotive forging component. The offered components are manufactured using quality steel and other metals, in our huge infrastructure facility. These components are manufactured in compliance with the industry laid parameters and the demands of our customers. Owing to its excellent design and sturdy construction, forged automotive parts are is widely demanded by our clients. Today, our company is also devoting ourselves to develop some standard auto parts, so that you can buy them directly from us. Our goal is to provide automotive companies high quality products with best price. Any need for drop forged automotive parts, or any questions require forged solutions, pls contact us right away!